Ever had a manager who is a technical guru but has poor leadership skills? I think we’ve all been there at least once. Technical gurus are rock-solid at what they do; with a unique skillset and ‘get it done’ mentality – they’re the people you love to have on your team. And, it’s probably critical that you do. 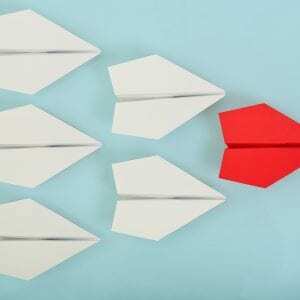 But generally, at some point in their careers, these same technical gurus are either forced into management roles or begin to think about managing their own teams. It’s a natural career progression. Isn’t it? Actually no; it’s not always the case. In today’s industry, it takes more than technical project management skills to be successful. The Project Management Institute’s (PMI’s) Pulse of the Profession in Depth Report revealed that 75% of organizations rank leadership skills as the most important for successful navigation of complexity in projects. As a learning and development professional, I was thrilled to learn that PMI (an organization that spans the world totaling 462,405 members in 202 Countries and Territories, with 275 active chapters) agrees that leadership skills are critical for effective project management. In December 2015, PMI stayed true to their beliefs by releasing modifications to their Continuing Certification Requirements (CCRs), including a new PMI Talent Triangle. 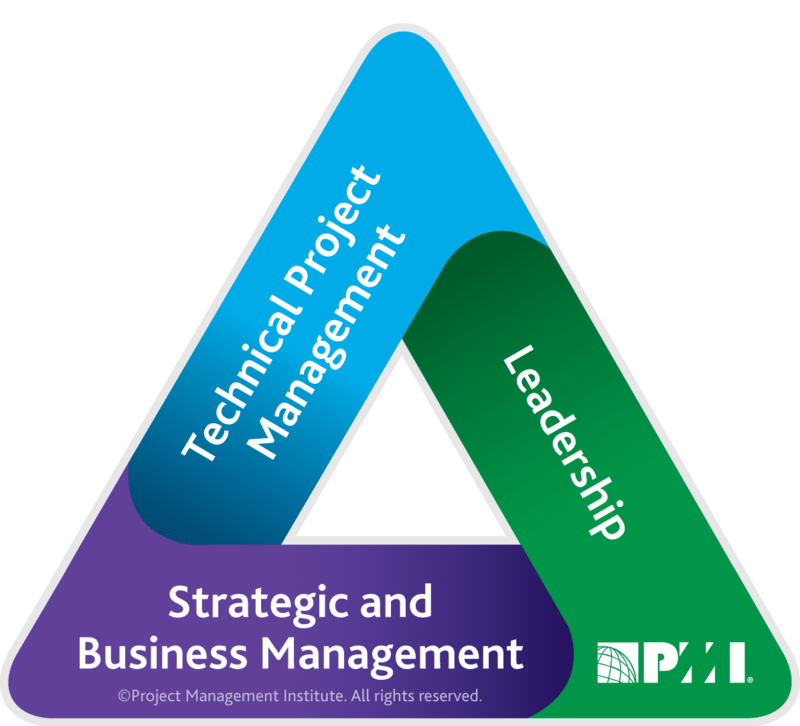 The addition of the PMI Talent Triangle promotes the value of balance between technical management, leadership, and strategic business skills. I can safely say I’m not alone in thinking that effective project managers (PMs) need good leadership skills, not just technical expertise. I also believe that good managers/leaders do not need to be technical gurus to successfully manage technical projects or projects that are not necessarily part of their subject matter expertise toolkit. The transition from a technical mindset to management/leader can be difficult. As a technical expert (whether a technical lead, engineer, or freelancer), the main responsibility is to finish the project, on time and on budget. Now, imagine doing that difficult technical job while managing a team. Do most honestly have the time to perfect their craft while writing annual performance reviews? It is difficult to do both well. More often than not, you stay busy with customer obligations, while trying to manage/develop your team and neither ends up receiving your best. Unfortunately, what makes you a great engineer might make you a poor manager. If you spend all day long coding, you do not have to successfully manage a team. Finding a balance of technical and soft skills is essential for good project management. That’s why PMs need to have the leadership component. Often, people with little to no leadership experience find themselves in project management positions due to tenure or employee turnover. They can “technical” with the best of them, but they don’t have”people” or “soft skills” training and don’t know the first thing about managing a team – there’s a disconnect between technical and leadership components. To combat this gap, the PMI Talent Triangle emphasizes both project management/leadership experience and training is critical in demonstrating how to manage, lead, and communicate as well as manage issues and challenges – a true operational leadership management perspective. 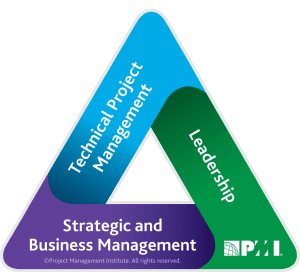 Before the CCR update and the addition to the PMI Talent Triangle, PMs earned PDUs based on PMI’s knowledge areas by submitting their processes and a short excerpt on technical task or project responsibilities. Now, the emphasis is also on how PMs need to be strategic business leaders. The Project Management Body of Knowledge (PMBOK) – PMI’s book of rules and standards – is planning to release their 6th edition to include strategic leadership and technical components. It will also explain how PMI components complement each (e.g., all knowledge and process areas). Soft skills combined with strong technical skills are critical components of successful leadership qualities, and in my opinion, modifying the CCR was a smart move. By teaching technical gurus how to manage effectively, PMI is ensuring future leaders are best equipped for their roles. This was a very interesting blog topic. The ‘technical Guru, poor Leadership skills’ transcends over industries. In the military we are often forced or awarded management positions despite the lack of management training. One of my personal obstacles is how to maintain and enhance my soft-skills while not only trying to attain leadership skills but also create or at least fake the passion and desire to do so.